12/29/2015 14:04 BASELINE RD First Aid - Police emergency stand-by. 12/21/2015 17:03 EAST RIVER RD Fire Call - Meat on the stove. 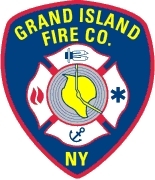 12/22/2015 20:34 GRAND ISLAND BLVD First Aid - Assist only. 12/22/2015 21:17 MORNINGSIDE DR First Aid - Assist only. 12/24/2015 02:40 EAST RIVER RD First Aid - Assist only. 12/24/2015 08:53 COUNTRYSIDE LN Fire Call - "Meat on the stove"
12/24/2015 20:45 BASELINE RD First Aid - Assist only. 12/25/2015 13:33 WHITE OAK TERR Fire Call - "Meat on the stove"
12/26/2015 00:46 EAST RIVER RD First Aid - Assist only. 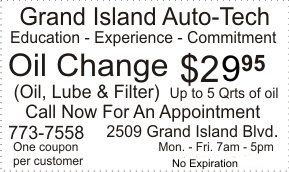 12/19/2015 12:36 GRAND ISLAND BLVD First Aid - Assist only. 12/12/2015 15:31 WHITEHAVEN RD First Aid - Assist only. 11/17/2015 09:40 MORNINGSIDE DR First Aid - Assist only. 11/18/2015 09:50 WHITEHAVEN RD Fire Call - "Meat on the stove"
11/22/2015 05:43 BASELINE RD First Aid - Police emergency stand-by. 11/23/2015 23:00 STONY POINT RD Fire Call - Assist citizens with control of utilities. 11/26/2015 12:00 LONG RD Fire Call - Meat on the stove. 12/04/2015 15:12 CENTER TERR First Aid - Assist only. 11/09/2015 10:07 MORNINGSIDE DR First Aid - Assist only. 11/04/2015 00:00 WEBB RD Fire Call - Meat on the stove. 11/07/2015 08:45 BEDELL RD Stand By - Stand by only. 10/30/2015 10:24 COLONIAL DR First Aid - Assist only. 10/21/2015 02:04 BASELINE RD First Aid - Police emergency stand-by. 10/22/2015 02:34 GRAND ISLAND BLVD First Aid - Assist only. 10/23/2015 01:39 LONG RD First Aid - Assist only. 10/23/2015 21:17 GRAND ISLAND BLVD First Aid - Assist only. 10/24/2015 18:24 BRANDYWINE DR First Aid - Assist only. 10/25/2015 21:29 BRANDYWINE DR First Aid - Assist only. 10/13/2015 11:29 EAST RIVER RD Fire Call - Assist citizens with control of utilities. 10/14/2015 19:40 COLONIAL DR First Aid - Assist only. 10/15/2015 08:15 STONY POINT RD First Aid - Police emergency stand-by. 10/15/2015 08:28 GRAND ISLAND BLVD First Aid - Assist only. 10/17/2015 00:28 LONG RD First Aid - Assist only. 10/18/2015 22:09 BASELINE RD First Aid - Police emergency stand-by. 10/05/2015 15:49 GRAND ISLAND BLVD First Aid - Assist only. 10/09/2015 10:46 WEST RIVER RD Fire Call - Assist citizens with control of utilities. 10/10/2015 16:41 BRANDYWINE DR First Aid - Assist only. 09/28/2015 01:10 GRAND ISLAND BLVD First Aid - Assist only. 09/29/2015 22:52 OLD CARRIAGE HOUSE RD First Aid - Assist only. 10/04/2015 02:41 BASELINE RD First Aid - Assist only. 10/04/2015 10:36 GRAND ISLAND BLVD First Aid - Assist only. 09/24/2015 10:31 OLD CARRIAGE HOUSE RD First Aid - Assist only. 09/25/2015 02:42 BASELINE RD Fire Call - Carbon monoxide investigation. 09/14/2015 00:25 WEBB RD First Aid - Assist only. 09/14/2015 16:12 BASELINE RD First Aid - Assist only. 09/15/2015 02:16 GRAND ISLAND BLVD First Aid - Assist only. 09/18/2015 17:59 WILLOW TERR First Aid - Assist only. 09/19/2015 16:43 WHITEHAVEN RD Fire Call - Assist citizens with control of utilities. 09/20/2015 20:17 BEDELL RD Fire Call - Assist citizens with control of utilities. 09/13/2015 23:04 WILLOW TERR First Aid - Assist only. 08/31/2015 09:30 MORNINGSIDE DR First Aid - Assist only. 09/02/2015 18:49 BASELINE RD First Aid - Police emergency stand-by. 09/03/2015 19:24 FIX RD Fire Call - Assist citizens with control of utilities. 09/04/2015 14:51 GRAND ISLAND BLVD First Aid - Assist only. 09/04/2015 18:13 GRAND ISLAND BLVD First Aid - Assist only. 08/26/2015 05:03 WEST RIVER RD First Aid - Assist only. 08/26/2015 08:46 REGENCY DR First Aid - Assist only. 08/27/2015 11:56 WHITEHAVEN RD Fire Call - "Meat on the stove"
08/30/2015 12:20 GRAND ISLAND BLVD First Aid - Police emergency stand-by. 08/18/2015 23:23 LONG RD First Aid - Assist only. 08/19/2015 17:07 GREENWAY RD First Aid - Assist only. 08/20/2015 21:12 RED JACKET RD First Aid - Assist only. 08/22/2015 09:17 BASELINE RD First Aid - Assist only. 08/11/2015 16:08 BASELINE RD First Aid - Assist only. 08/11/2015 19:47 SANDY BEACH RD Fire Call - Investigated and advised citizens regarding nuisance burning. 08/12/2015 11:42 BASELINE RD First Aid - Police emergency stand-by. 08/12/2015 21:15 LUTHER LN First Aid - Assist only. 08/13/2015 08:31 WHITEHAVEN RD First Aid - Assist only. 08/13/2015 10:51 CCOLONIAL DR First Aid - Assist only. 08/14/2015 11:40 GREENWAY RD First Aid - Assist only. 08/16/2015 04:36 WHITE OAK LN First Aid - Assist only. 08/03/2015 09:40 GRAND ISLAND BLVD First Aid - Assist only. 08/03/2015 10:30 BEAVER LN First Aid - Assist only. 08/04/2015 10:24 GRAND ISLAND BLVD First Aid - Assist only. 08/04/2015 20:33 OLD CARRIAGE HOUSE RD First Aid - Assist only. 08/05/2015 15:40 WEST RIVER RD Fire Call - Meat on the stove. 08/09/2015 15:15 BASELINE RD First Aid - Assist only. 07/28/2015 19:57 BASELINE RD Fire Call - Investigated and advised citizens regarding nuisance burning. 07/28/2015 20:03 BASELINE RD First Aid - Police emergency stand-by. 07/30/2015 00:07 SETTLERS ROW Fire Call - "Meat on the stove"
07/30/2015 12:04 BASELINE RD First Aid - Assist only. 07/30/2015 18:17 GRAND ISLAND BLVD First Aid - Police emergency stand-by. 07/30/2015 23:36 NORTH COLONY RD First Aid - Assist only. 07/31/2015 14:15 NORTH COLONY RD First Aid - Assist only. 08/02/2015 00:03 GRAND ISLAND BLVD First Aid - Assist only. 07/21/2015 08:38 MORNINGSIDE DR First Aid - Assist only. 07/23/2015 09:48 RANSOM RD Fire Call - Assist only. 07/24/2015 20:02 RIVERWOODS DR First Aid - Assist only. 07/25/2015 20:46 OLD CARRIAGE HOUSE RD First Aid - Assist only. 07/26/2015 21:46 WILLOW TERR First Aid - Assist only. 07/15/2015 08:26 BASELINE RD Fire Call - Meat on the stove. 07/17/2015 09:27 STONY POINT RD First Aid - Police emergency stand-by. 07/18/2015 19:17 GRAND ISLAND BLVD First Aid - Assist only. 07/06/2015 11:31 GRAND ISLAND BLVD First Aid - Assist only. 07/11/2015 16:44 STONY POINT RD First Aid - Assist only. 07/11/2015 16:55 BASELINE RD First Aid - Police emergency stand-by. 07/11/2015 20:15 REVERE RD Fire Call - Assist citizens with control of utilities. 06/29/2015 10:27 RED JACKET RD First Aid - Assist only. 07/04/2015 22:27 WILLOW TERR First Aid - Assist only. 07/05/2015 20:14 EAST RIVER RD Fire Call - Investigated and advised citizens regarding nuisance burning. 06/24/2015 12:36 WILLOW TERR First Aid - Assist only. 06/26/2015 07:44 BASELINE RD First Aid - Assist only. 06/26/2015 22:57 NORTH COLONY RD First Aid - Assist only. 06/27/2015 21:39 OLD CARRIAGE HOUSE RD First Aid - Assist only. 06/16/2015 11:46 SANDY BEACH RD Fire Call - "Meat on the stove"
06/20/2015 14:32 STONY POINT RD First Aid - Police emergency stand-by. No services rendered. 06/21/2015 14:44 WILLOW TERR First Aid - Assist only. 06/10/2015 23:24 WHITEHAVEN RD Fire Call - Assist citizens with control of utilities. 06/11/2015 21:40 2580 EAST RIVER RD Fire Call - Investigated and advised citizens regarding nuisance burning. 06/12/2015 15:52 WEST OAKFIELD RD Fire Call - Assist citizens with control of utilities. 06/14/2015 05:28 BEAVER LN First Aid - Assist only. 06/14/2015 09:32 GRAND ISLAND BLVD Fire Call - Meat on the stove. 06/01/2015	10:39	AMBERWOOD DR	Fire Call - Assist citizens with control of utilities. 06/02/2015	08:06	GRAND ISLAND BLVD	First Aid - Assist only. 06/06/2015	15:12	STALEY RD	Fire Call - Meat on the stove. 05/25/2015 16:00 FIELDSTONE DR Fire Call - Assist citizens with control of utilities. 05/25/2015 17:23 LOVE RD Fire Call - Assist citizens with control of utilities. 05/26/2015 10:29 GRAND ISLAND BLVD Fire Call - Meat on the stove. 05/28/2015 08:39 WHITEHAVEN RD Fire Call - Assist citizens with control of utilities. 05/28/2015 20:30 NORTH COLONY RD First Aid - Assist only. 05/29/2015 05:17 WILLOW TERR First Aid - Assist only. 05/30/2015 18:42 WILLOW TERR First Aid - Assist only. 05/31/2015 09:19 WILLOW TERR First Aid - Assist only. 05/24/2015 03:51 BASELINE RD First Aid - Assist only. 05/10/2015 13:53 GRAND ISLAND BLVD First Aid - Assist only. 05/10/2015 19:23 GRAND ISLAND BLVD First Aid - Assist only. 05/11/2015 05:11 GRAND ISLAND BLVD First Aid - Assist only. 05/11/2015 21:48 WINTER RD Officer Call - Investigate lightning strike. 05/12/2015 11:27 RANSOM RD Fire Call - Assist citizens with control of utilities. 05/14/2015 17:18 BASELINE RD First Aid - Assist only. 05/17/2015 09:49 CENTER TERR First Aid - Assist only. 5/4/2015 14:32 STALEY RD Fire Call - Assist citizens with control of utilities. 5/9/2015 23:28 WEBB RD First Aid - Assist only. 5/10/2015 13:53 GRAND ISLAND BLVD First Aid - Assist only. 5/10/2015 19:23 GRAND ISLAND BLVD First Aid - Assist only. 4/27/2015 14:39 GREENSIDE DR Fire Call - Assist citizens with control of utilities. 5/3/2015 09:41 CENTER TERR First Aid - Assist only. 04/20/2015 11:14 WILLOW TERR First Aid - Assistance only. 04/21/2015 12:31 BASELINE RD First Aid - Assist only. 04/22/2015 18:13 BASELINE RD Officer Call - Girl Scout event. 04/24/2015 07:28 THRUWAY SOUTH First Aid - 5-car accident moved from bridge to Tonawanda. Cancelled by police. 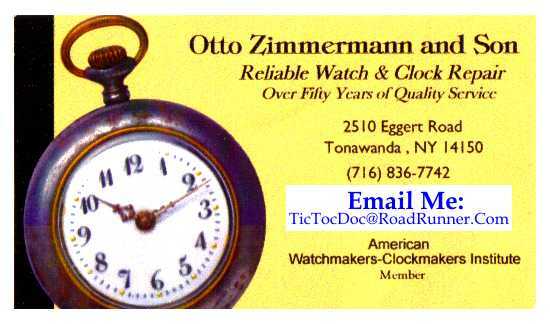 4/13/2015 08:05 THRUWAY SOUTH First Aid - Rollover acident. No injuries. 4/15/2015 17:37 STONY POINT RD Fire Call - Dog activated alarm system. 4/16/2015 14:51 ORCHARD RD Fire Call - Reported wires on a school bus. No hazard. 4/16/2015 15:08 BASELINE RD Fire Call - Mutual aid response to Niagara County. 4/16/2015 18:22 WEST PARK RD Fire Call - Meat on the stove. 4/17/2015 19:33 GRAND ISLAND BLVD Fire Call - Rubbish fire. Extinguished at the request of patrol. 4/18/2015 02:50 BEDELL RD Officer Call - Investigation only. 4/11/2015 16:04 BASELINE RD Fire Call - $2500 damage from dryer fire. 4/11/2015 22:30 BEAVER ISLAND Officer Call - Assist Coast Guard & ECSO with reconnaissance. 4/12/2015 13:28 QUEENS DR Fire Call - Carbon Monoxide Investigation revealed a faulty wireless doorbell. No hazard. 4/12/2015 16:13 CARTER DR First Aid - Accidental alarm. 3/30/2015 15:43 WHITEHAVEN RD Fire Calll - Wires down. Referred to National Grid. 3/31/2015 05:26 WEBB RD First Aid - Assist only. 3/31/2015 12:02 EAST RIVER RD Officer call - Recon for Coast Guard. Good intent. 3/23/2015 16:00 BASELINE RD First Aid - Police emergency stand-by. 3/24/2015 14:45 WEST RIVER RD Fire Call - $2500 damage from chimney fire. 3/25/2015 15:41 THRUWAY NORTH Fire Call - Good intent. 3/29/2015 14:39 HAVENWOOD LN First Aid - Assist only. 3/18/2015 11:05 WEST RIVER RD First Aid - Police matter. 3/18/2015 13:14 BUSH RD Fire Call - Accidental alarm. 3/19/2015 10:25 EAST RIVER RD Fire Call - Meat on the stove. 3/19/2015 17:36 BEDELL RD First Aid - Police emergency stand-by. No services rendered. 03/12/2015 21:50 BASELINE RD First Aid - Assist only. 03/14/2015 10:17 BASELINE RD First Aid - Assistance only. 03/14/2015 13:17 THRUWAY NORTH First Aid - Motor vehicle accident: Treated 4 patients and transported 1 patient. 03/03/2015 22:12 AUTUMNWOOD DR Fire Call - Assist citizens with control of utilities. 03/04/2015 16:48 EAST RIVER RD Fire Call - Assist citizens with control of utilities. 03/05/2015 12:04 REVERE RD First Aid - Assist only. 2/26/2015 13:37 WOODSTREAM DR Officer Call - Assist citizens with control of alarm. 3/1/2015 13:04 FERRY RD EMS Call - Gone on arrival. 3/1/2015 16:30 BISHOPS GATE Fire Call - Investigation of odoriferous emanations: No hazard found. Referred to National Fuel for verification. 02/17/2015 01:52 BASELINE RD First Aid - Police emergency stand-by. 02/17/2015 09:51 FIX RD Fire Call - Residential structure fire due to heating frozen pipes. Out on arrival. 02/20/2015 07:39 THRUWAY SOUTH First Aid - Gone on arrival. 02/20/2015 09:08 ALT BLVD First Aid - Assist only. 02/20/2015 16:20 BUSH RD First Aid - Assist only. 02/21/2015 09:20 HUTH RD Fire Call - Carbon monoxide investigation. Referred to National Fuel. 02/21/2015 18:20 BASELINE RD Fire Call - Carbon monoxide investigation. Referred to National Fuel. 02/21/2015 19:35 CENTER TERR Fire Call - Assist citizens with control of utilities. 02/22/2015 01:43 GRAND ISLAND BLVD First Aid - Women slumped found to be sleeping. 02/22/2015 02:21 LONG RD Fire Call - Alarm malfunction. 02/22/2015 08:05 RANSOM RD Fire Call - Carbon Monoxide Investigation. Referred to National Fuel. 02/22/2015 15:32 STALEY RD Fire Call - Meat on the stove. 02/22/2015 16:22 BASELINE RD First Aid - Police emergency stand-by. 2/9/2015 10:43 BEAVER ISLAND PKWY First Aid - A driver slumped over the wheel was hale & healthy. 2/9/2015 10:58 BRONSON RD First Aid - Assist only. 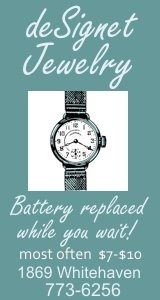 2/9/2015 16:33 BROADWAY First Aid - No illness. Referred occupants to other agencies. 2/15/2015 18:26 LOVE RD Police emergency stand-by. Fire Police Requested for road closures. 2/15/2015 19:45 MARJORIE DR Officer Call - Assist citizens with control of utilities. 2/2/2015 11:04 CARDINAL LN Fire Call - Carbon Monoxide Investigation. Referred to national Fuel. 2/2/2015 23:19 SOUTH LN Fire Call - Carbon Monoxide Investigation - referred to National Fuel. 2/3/2015 00:58 BASELINE RD Fire Call - Assist citizens with control of utilities. 2/3/2015 01:38 WARNER DR Fire Call - Carbon Monoxide Investigation. Referred to National Fuel. Please make sure the closest 2 hydrant to your home and business have 3 feet of clearance from snow and obstructions on all sides.! 2/1/2015 16:17 ELMWOOD RD Officer Call - Assist citizens with control of utilities. 1/20/2015 07:23 GRAND ISLAND BLVD Fire Call - Meat on the stove. 1/20/2015 22:43 EAST RIVER RD Fire Call - Investigate odor of natural gas along the roadside. Referred to National Fuel. 1/25/2015 21:58 WALLACE DR Fire Call - Carbon Monoxide Investigation referred to National Fuel. 1/12/2015 00:51 ELSIE LN Fire Call - Assist citizens with control of utilities. 1/12/2015 21:53 CENTER CT SOUTH Fire Call - Assist citizens with control of utilities. Referred to National Fuel. 1/14/2015 16:58 ALT BLVD Fire Call - Assist citizens with control of utilities. 1/16/2015 14:38 GRAND ISLAND BLVD Fire Call - Investigation only. Referred to National Fuel. 1/17/2015 16:33 WHITEHAVEN RD Officer's Call - Investigate odor of natural gas. 1/17/2015 21:28 BASELINE RD First Aid - Police emergency stand-by. 1/17/2015 23:26 ENOLA RD First Aid - Trauma call. 1/18/2015 05:55 CENTER TERR First Aid - Assistance call. 01/05/2015 06:34 GRAND ISLAND BLVD First Aid - Assist only. 01/05/2015 21:45 BEDELL RD Officer Call - Carbon Monoxide Investigation; referred to National Fuel. 01/06/2015 02:07 EAST RIVER RD Special Operations - Search for person in the river. 01/06/2015 10:08 BASELINE RD Special Operations - Search for a person in the water. 01/08/2015 22:46 STONY POINT RD First Aid - Police emergency stand-by. No services rendered. 01/09/2015 16:15 LONG RD Fire Call - "Meat on the stove"
01/11/2015 19:51 MONICA RD Fire Call == $60,000 damage from structure fire. 12/29/2014 07:40 GRAND ISLAND BLVD Fire Call - Investigate gas leak. No hazard found. 12/29/2014 08:05 WEST RIVER RD First Aid - Assist only. 12/29/2014 17:29 EAST RIVER RD First Aid - Vehicle in the river. 1/1/2015 16:52 RANSOM RD Fire Call - $2500 damage from apartment building fire. 1/3/2015 17:49 THRUWAY NORTH First Aid - 9 patients treated and 3 patients transported from motor vehicle accident with injuries. 1/3/2015 23:12 BASELINE RD First Aid - Police emergency stand-by.